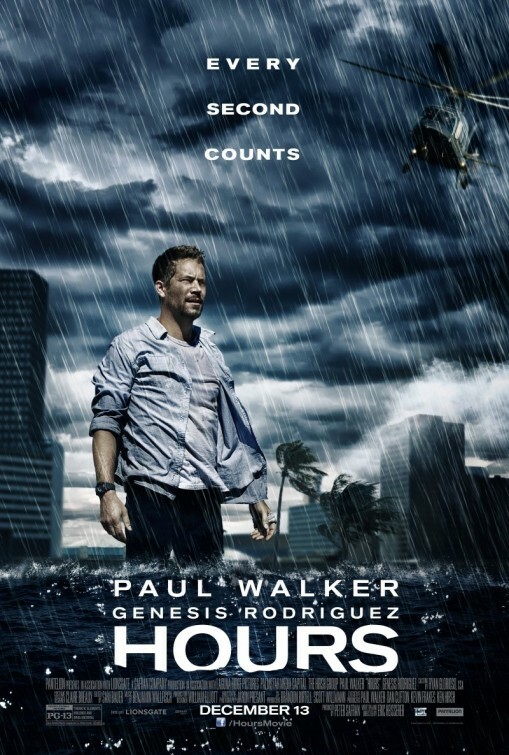 Paul Walker’s final movie before his tragic death at the age of 40 takes place during Hurricane Katrina. He plays a New Orleans man stuck in an abandoned hospital after his wife dies in childbirth. For hours (hence the title) he awaits help while his little girl breathes only with the aid of an electrical ventilator. Walker is good. The movie isn’t.